After enjoying five years of global success together, the four members of boyband JLS have just announced they are about to dismantle the group, at the height of their fame. Aston Merrygold, Marvin Humes, Jonathan “JB” Gill and Oritsé Williams, have decided that, despite the record sales (1.5m concert tickets, 10m records and 5 number 1 singles) it's now time for new adventures. Marvin, who is currently expecting his first baby with Saturdays singer Rochelle, has declared: “It’s an emotional time. There’s no getting away from that. We have been through so much together. But we have to be mature and look at this decision as a celebration of what we managed to achieve. We never wanted to overstay our welcome. We never wanted to be that band where people said, ‘Oh, bloody hell. It’s JLS again.’ We wanted to finish on a high. We’re finishing with an arena tour — our third arena tour — and that is a massive achievement." The boys - who rose to fame after losing out against Alexandra Burke in the X Factor final back in 2008 - are keen on explaining that the split wasn't caused by some sort of disagreement: they are still best friends, it's just that after the end of their five year contract, they realised it was time to move on. It hasn't been an easy decision though, from the moment former Metropolitan University student Oritsé decided to set up the band till today's astonishing success, it has been a roller-coaster ride that has brought the boys as well as their family closer than they could have possibly imagined. The lads will close the chapter in style, with a farewell tour in December and a greatest hits album. After that, they will be free to dedicate their time to other projects: Marvin, currently a Capital FM DJ, will pursue a new career working as a reporter for Daybreak. 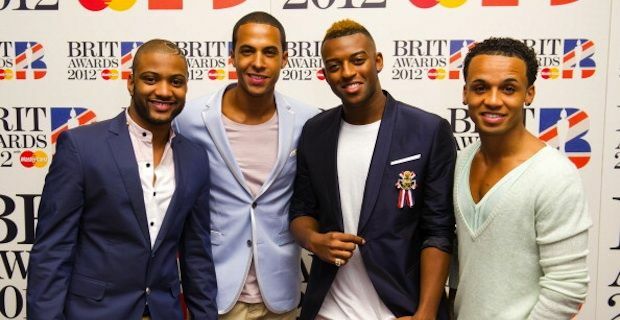 Oritsé will focus on his new music management company, Aston might be involved again in the successful "Got To Dance" series with Ashley Banjo, while JB will be taking care of the deer farm he recently bought in Scotland.